Obituary for Carol A. (Peterson) Kingston | Ray Funeral Service, Inc.
Schodack-Carol Anne (Peterson) Kingston, 74, a longtime resident of Schodack passed away peacefully Friday November 30, 2018 at Albany Medical Center. Carol had worked at Albany Medical Center for 30 years as a medical secretary under Richard T. Beebe, MD. Subsequently, she worked in the same capacity for Michael Thompson, MD in Schodack. She also trained german shepherds in the shutzhund discipline. 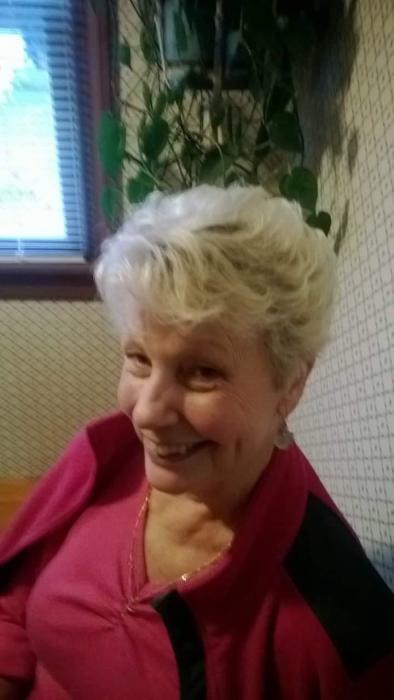 Carol was a member of St. Stephens Lutheran Church, East Schodack. She is survived by her two sons Richard Kingston and Scott Kingston; brother Jan (Elaine) Peterson; sister Linda (Barry) Romano; grandchildren Nicholas, Kyle, Kaitlyn and Carol Anne; and numerous nieces and nephews. Her funeral will be 11 am Friday December 7, 2018 in St. Stephens Lutheran Church 751 County Rt. 7, East Schodack, NY. Friends may call Thursday 4-7 pm at Ray Funeral Home 59 Seaman Ave., Castleton, NY.